Want to learn more about how the most ambitious cities plan for climate change? Then join C40's Climate Action Planning Webinar Series to hear directly from cities about their climate action plans, including their targets, actions, challenges and best practices, as well as deep-dives on specific topics. Did you miss our webinars? London's Zero Carbon Policy Team shared its insights on the London's Environment Strategy and the accompanying 1.5ºC Compatible Climate Action Plan. Released in December 2018, with support from C40’s Deadline 2020 pilot programme, this is the city’s first strategy that brings together approaches to every aspect of London’s environment with the aim to deliver multiple benefits to Londoners, including delivering a zero carbon city. We learned, for example, how London used spatial models of the city's building and energy systems to assess the impact of specific policies, as well as the cost implications. 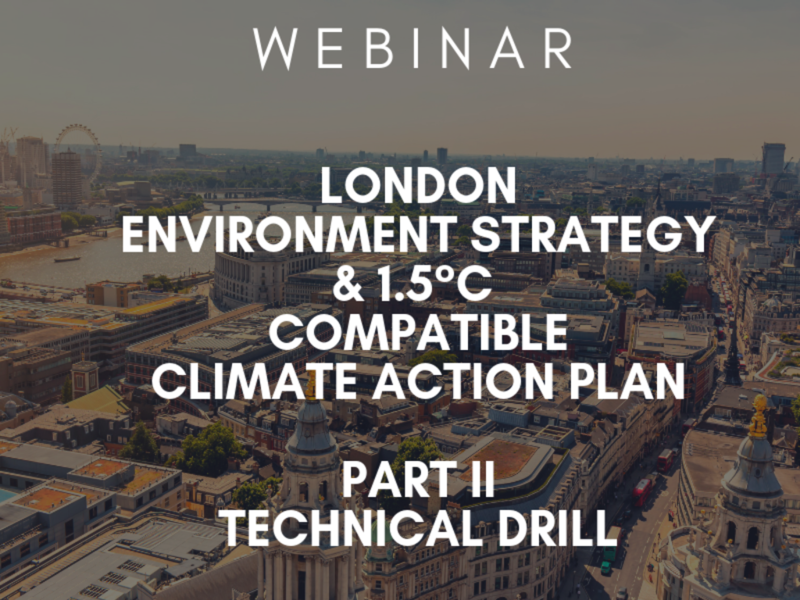 The webinar also brought us closer to some of London's initiatives, such as 'London Business Climate Leaders', which brings leading businesses together to collaborate towards making a reality of London's zero carbon goals. The world is now clearly in the midst of a climate emergency. The Mayor's London Environment Strategy (May 2018) was one of the first plans of any world city to be compatible with the highest ambition of the Paris Agreement. It commits London to being a zero carbon city by 2050. It sets out the actions the Mayor of London, Sadiq Khan, will take, within his powers, to get there as soon as possible. 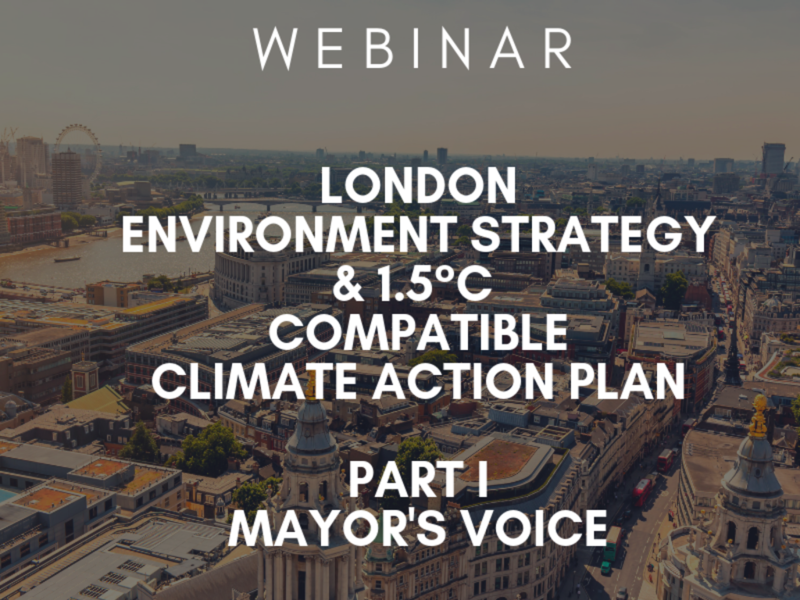 London's Deputy Mayor for Environment and Energy, Shirley Rodrigues walks us through the London Environment Strategy and the accompanying 1.5ºC Compatible Climate Action Plan. Released in December 2018, with support from C40’s Deadline 2020 pilot programme, this is the city’s first strategy that brings together approaches to every aspect of London’s environment with the aim to deliver multiple benefits for Londoners, including delivering a zero carbon city. 2019 C40 Cities Climate Leadership Group all rights reserved.